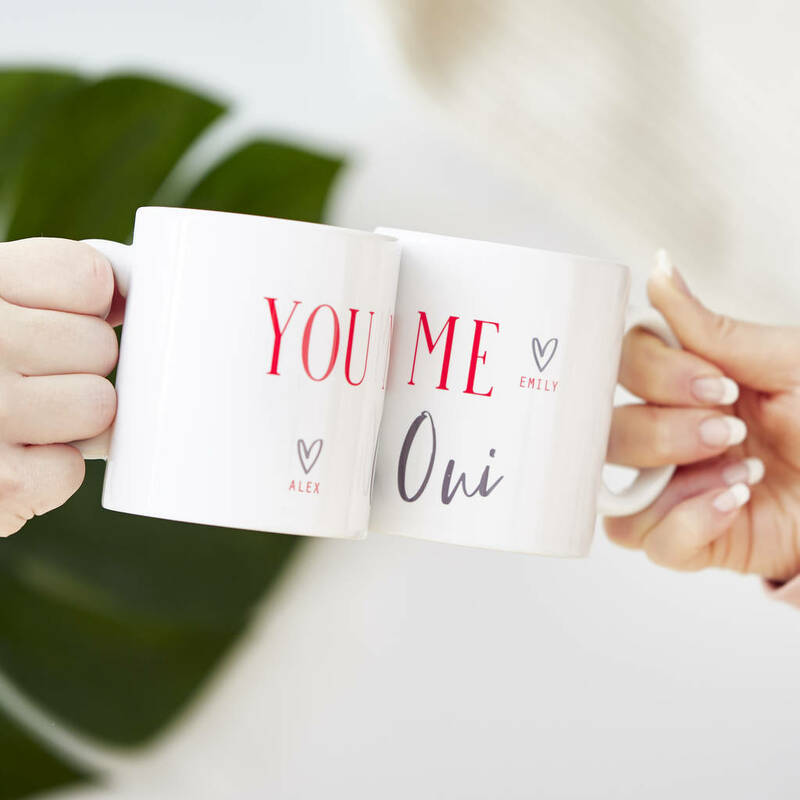 Our Personalised Twinning Mug Set makes a stylish addition to your home and is perfect for a cosy night in together. Treat you and your loved one to cute matching mugs, printed with a fun quote and each of your names. 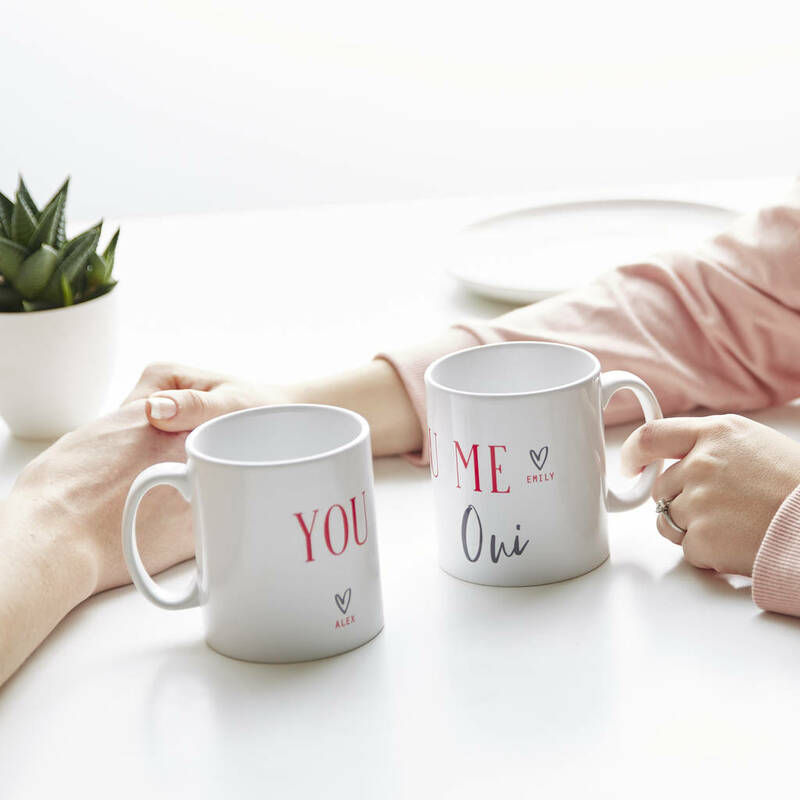 A great gift for Valentine's Day or Anniversaries, these unique mugs are perfect for enjoying your favourite hot drinks together. 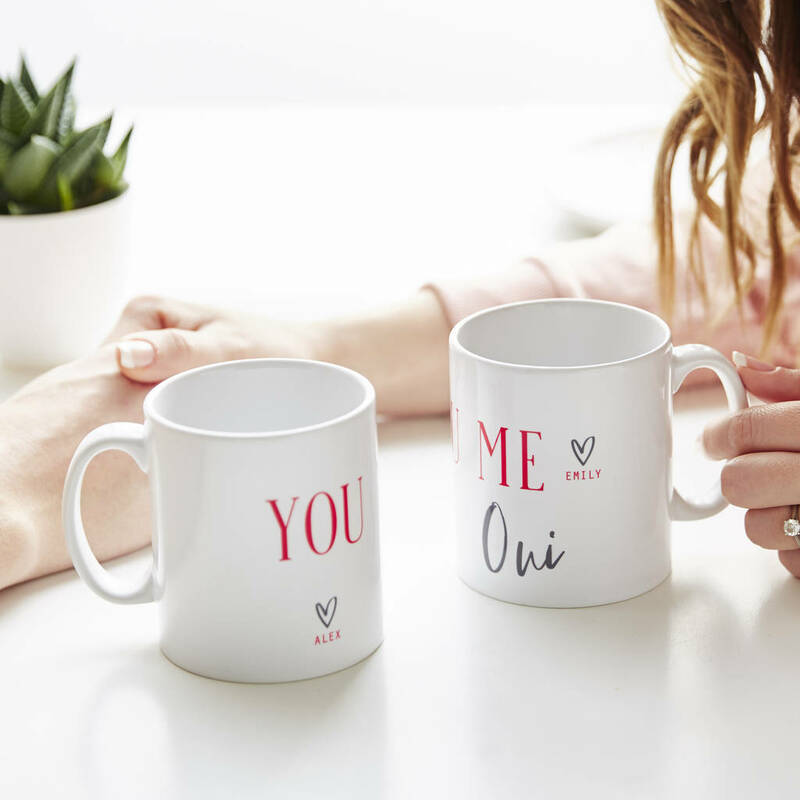 To personalise your mug set simply enter your chosen names into the corresponding personalisation boxes and we will place these under the little heart on each individual mug. Please Note: Personalisation will be exactly as entered, please double check this when placing your order. Names will be printed in capitals as per the product photos. These make a thoughtful gift for all occasions, Housewarmings, Birthdays, Weddings, Anniversaries, Valentines, Christmas, Mother's Day, or a perfect treat for that special friend or family member. White ceramic mugs with a grey and pink printed design.